To the new players who have joined SailorS, welcome aboard! I’m taking time to create a game guide to help you learn how to play the game. Sati is an extension of Mother, the AI in charge of the ‘Ark Project,’ which created the Arkanas. She gives quests (both primary and secondary) throughout the game. Do not skip her missions (or any for that manner) because it will set you behind. Several of them are required to advance, while others give out enhancement stones, weapons, etc etc. Scarlet Blade is a combination of Player vs Player combat and a Korean-style grinder. A grinder is a game that requires you to kill mobs (monsters) and do dailies to level up once your pass level 12 or 13. The keyboard is a usual W-A-S-D set up. W goes forwards, A to the left, S backwards, D to the left. The medic is the most unique class in Scarlet Blade. She has the capability to keep herself alive, and her comrades through buffs and equipment. A medic is a major need when doing dungeons, etc. Important buffs for a medic are: Healer’s touch, veil of offense, restoration, veil of healing, shadowfoil, and eradicate. Bear in mind that Medics are the ones that people look to kill the most. Try to build up your passive HP a lot and enhance gear for better HP. Secondly, stay as far back as you can to keep your buffs working. Medics aren’t front line warriors, so that will keep you alive. Punisher is a long range attack artist. 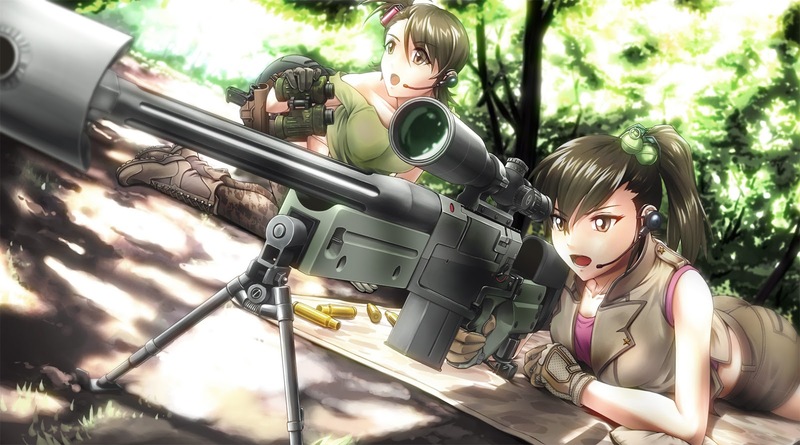 She is armed with a rifle that allows her to target foes from a distance. Punishers make a good backbone to groups because basically she’s the sniper of the bunch. Sents are the ONLY class that can easily detect SW’s. They are the Kryptonite of SW’s. • Is meant more for support, while Punishers are meant more for attack. Void doesn’t do much for You…EVA is the way to go. That’s your “perfect” gear. However, each person has their choice in how they want to build their Loli, so consider it a suggestion.